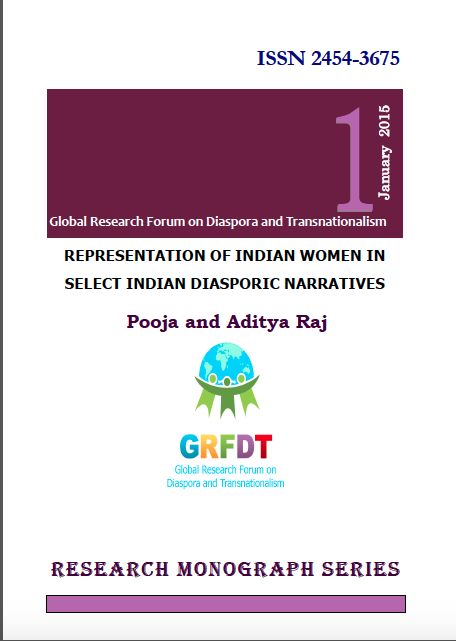 This paper looks at the experiences of Indian women as represented in Indian diasporic narratives. Bharati Mukherjee’s “Jasmine” (1989) and Iqbal Ramoowalia’s “The Death of a Passport” (2003) are the selected texts. These texts are written by Indian diasporic authors settled in North America. They are analyzed using Fairclough’s Critical Dis-course Analysis. In the narratives, the women voice their experience, realize their exist-ence, and resist. The central protagonist, Jasmine and Seema, are symbols of alienated lives in silence and agony, while at the same time undergoing continuous change. Drawing from Fairclough, Butler, Freire, Vertovec, and Lather, the paper aims at study-ing the process by which women achieve self-expression and undergo conscientization. The analyses may suggest the way Indian women live, realize, and resist in the diaspora. Keywords: Woman, Representation, Diaspora, Discourse Analysis, Conscientization.